Frankfurt School Blog | How does the Student Council work? How does the Student Council work? 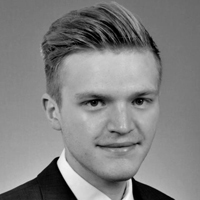 Fabian is enrolled in the Master in Management Programme since March 2016. Before starting his Master's degree he graduated from our Bachelor of Sciences in Management, Philosophy & Economics Programme. Moreover, he is strongly engaged as the Speaker of the Frankfurt School Student Council, as Senior Ambassador and as a member of several committees on campus. At the end of February, we sent out the Student Council (StuCo) election form. Afterwards, all enrolled students had the possibility to sign up as a candidate. For the first time ever we managed to provide the opportunity of an online election. Consequently, the amount of students participating in the election increased by approximately 1000%. On April 11th the results were published at the Student Parliament and we started with our work for you. After the election we allocated the positions within the student council. Our charter states that we should have two Speakers, two Treasurers, two Project Managers, two persons in charge of the initiatives, one IT Manager and one person responsible for our communications. The two speakers run the Student Council and are responsible that all work gets done. This means that you are going through dozens of emails and enquiries each week finding out whether these are of importance or not. Students and faculty as well as businesses and organizations are contacting us, asking for advice, support or are just suggesting new ideas. The two Project Managers plan and realize the projects and events on campus. This includes the parties and “chill & grills” in cooperation with FS Event, the “Hello for Beginners-Day (HfB-Day)”, the “Nacht der Wissenschaft / Night of science” as well as smaller projects with the purpose of increasing the quality of your time at Frankfurt School. Increasingly important become the two persons in charge of the initiatives. Therefore we topped up this position with a third person and integrated communication into their set of responsibilities. We strongly believe that this is essential to serve our growing network of initiatives and strengthen our communication with the students. Also, we are looking forward to changes regarding the social credit point system over the summer. Within the first month we reformed our Treasury department. The two treasurers will not be using the old, slow and hardly controllable way over manual bank transfers with a separate account anymore. The StuCo now possesses a cost center of Frankfurt School and all payments as well as our annual financial statement will be processed by the Frankfurt School accounting system. The entire reimbursement process and the way how invoices are treated became faster, safer and after all more comprehensible for the Supervisory Board. Last but not least, we have our IT department which is responsible for Facebook groups such as FS Students and FS Wohnungsbörse, the FS StuCo Facebook account, the Google drive folders as well as any IT related problems or wishes. During the last weeks we were not only pushing for a feedback poll regarding our new Online campus, we also doubled your storage capacity in the “@fs-students.de” mail accounts. Besides the mentioned regular positions, we also represent student’s interests in quite many committees at Frankfurt School, for instance when dealing with scholarships, the appointment of new faculty members or the organization of examinations. Just to name a few concrete examples, we represent the students in the “Fakultätsrat / faculty council”, the “Prüfungsausschuss akademische Studiengänge / faculty committee of academic programs”, the “Berufungskommissionen / appellate commission”, the “Förderausschuss / supporting committee”, the “FS Spirit Initiative” as well as some smaller committees and councils. Personally, I started into this year’s Student Council with a lot of plans and ideas on how to make our work more transparent and our processes easier and faster. So this year we are facing a big transition besides engaging for the students’ needs and desires. We started with the election online, but additionally we want to rewrite our constitution since the last one from 2011 is more than outdated and does not represent a leading business school as Frankfurt School is. We also want to improve a lot of the processes we were using in the previous years. We started with the Treasury system and got rid of the old, time consuming way using our own bank account and excel calculations for the annual financial settlement. We are currently working on an HTML designed “FS Weekly” to keep you updated at every time. Additionally, we enhanced our internal communication by using Asana to track all our work. Moreover we were striving for a replacement of our Social Credit System since the existing one caused more trouble than being helpful and expressive. We will keep you in the loop on this as well as on our new events like the Welcome Day as a compensation to our beloved HfB-Day. Another big project is the finished shell construction of our new campus at Adickesallee 32-34. As we want to ensure the best campus experience for all our future students, the StuCo visited the areal, getting a personal tour from the project director Mr. Klaus Ringsleben. We had a close eye on the new facilities and gave our comments on the prospective lecture rooms, study rooms, the library, the canteen and many other establishments. The day after we met Prof. Dr. Steffens, Prof. Dr. Grote, Dr. Brost and Dr. Antz for lunch and told them about our thoughts and opinions. Let me tell you that it will be fantastic to study at our new campus. In the last four years I really learned to love our old campus, but the new one is simply more than state-of-the-art. To come to an end, we want to emphasize that if you have any needs, wishes or desires, do not hesitate to shoot us an email to exco@fs-stuco.de. We need your collaboration because only together we can sustain and strengthen a group identity and experience our time at FS in the best way possible.